Team Hall & Nass recently attended the Cadillac Culinary Media Tour, an event for select members of the Texas automotive media to experience what life is like for the “typical” Cadillac owner. At the event, we got a little crazy. Alongside of our good friends Charlie and Nick from Burnout Radio (@BurnoutRadio on Twitter), we managed to get behind the wheel of a brand new 2010 CTS-V Sedan and put it though some real world driving paces. What transpired once we “commandeered” the CTS-V was most likely not typical of many Cadillac owners, especially in rush hour traffic, unless your name just happens to be Andy Pilgrim. While the CTS-V was just one of the Cadillacs we experienced at the event, we had so much to say about our impression of driving this particular machine that simply including those thoughts in one section of our overall event blog post(s) wouldn’t do. Plus, as an added bonus, we filmed all the action of our Team Hall & Nass and Burnout Radio ride and drive critique with not one, but two cameras. We’ll circle back to that in a bit. After you read this post, we also encourage you to read our companion two-part blog post titled “Team Hall & Nass Preview the 2010 Cadillac Lifestyle, Parts 1 & 2.” Within those posts you will learn more about the overall event, how we managed to “steal the V” and what happened when we got busted for it! 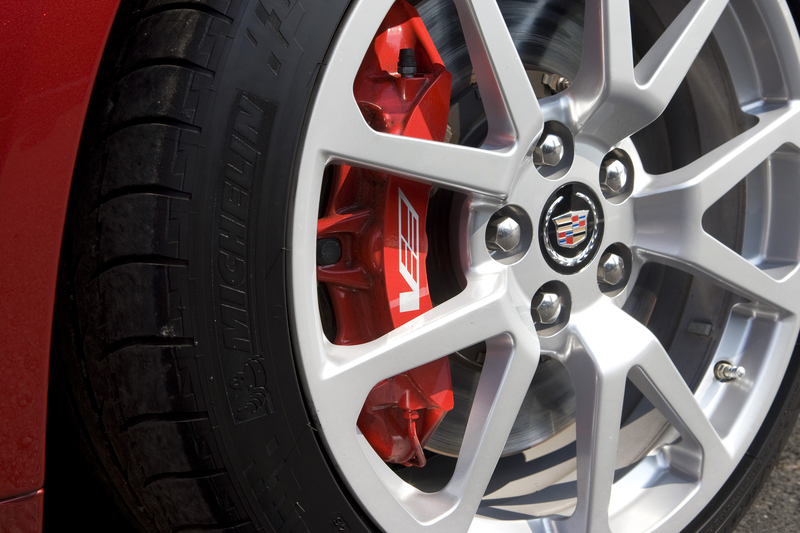 There are many words I could use to describe what driving the CTS-V is like, but few would truly do the car justice. If you’re a fan of the car, then no doubt, you’ve already heard the big numbers it puts up. But just in case you haven’t, I’ll share them with you here (from memory, no less). GMs supercharged all aluminum LSA small block making 556 horsepower at the flywheel and generating 551 foot pounds of torque. Six piston Brembo calipers out front, four piston Brembos out back. A six speed manual transmission (or, in the case of our media car, a six-speed automatic). 0-60 in 3.9 seconds with a top speed of 198 miles per hour (limited to 175 miles per hour in the automatic). The list goes on and on, but those are the baseline things you need to know. I’d love to tell you all about the amazing interior of the car, the many creature comforts, the styling, the details, and all that jazz. Truth is, due to the nature of the event, we had to grab it and go. 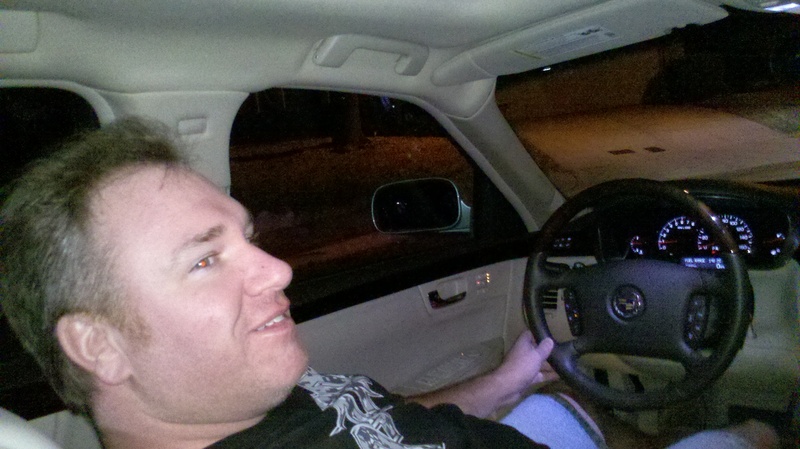 From that point on, all I did was adjust the mirrors, the seat, the wheel and drive. I’m sure it has amazing ergonomics that I could go on and on about. We just didn’t have time to fully experience all of that. Perhaps if we’re very lucky we’ll get more hands on time with a CTS-V sometime again real soon so we can take our time and explore all of the details. I, for one, would like to explore the driver information system and get detailed on the types of real time vehicle performance and operation information available to the driver, how it is accessed and the manner in which it is displayed. But like I said, there wasn’t time for all of that. We had to grab it, take it, and just drive it. After all, isn’t how it drives what you want to know about this car anyway? Yeah, we thought so. First things first. No, sadly, we didn’t get to test top end or downforce effects at sustained higher end speeds. I know, I know. However, even though we were unfortunately stuck in horrific rush hour traffic, we still managed to have some fun. This car is so viciously quick on the throttle (and the brakes) that you can drop back and then fill up the hole in the flow faster than anyone else can realize there was ever an opening to contemplate getting into. Want to break triple digits inside a long city block? This car will do it. Want to light the tires on fire? HA! As amazing as the traction control system is (truly, it’s that good), melting rubber is still easy to achieve at any speed. Just plant your right foot and hold on! Want to elicit shock, disbelief and awe from a new Porsche 911 owner (and his passenger) by merely letting him hear the sound of the engine revving? Been there, done that. Since we did have to navigate some very heavy rush hour traffic and a few side roads in between discovering (or creating) patches of clean road to enjoy, the entire drive was treated as a rolling interview. If you’re familiar with the regular podcasts done by Burnout Radio, then you know what to expect. However, if you’re not, then know that we discussed and critiqued the car on the fly for the entire ride. It helps that both Charlie and I like the sound of our own voices as well, but hey! That’s a whole other story (way too long to post on here)! Former Indy 500 winner and current Rally X driver Kenny Brack did an excellent job at the 2009 Summer X Games of reminding everyone in the racing and extreme sports world of a very simple, but long held, principle in the world of motorsports. Tire smoke and drifting a car sure looks cool, but every second your wheels are not in solid contact with the pavement, you’re not putting maximum power to the ground. Thus, you’re losing time. Remember, all the horsepower in the world doesn’t matter if you can’t make the tires put the power on the pavement. The aforementioned traction control system is beyond amazing on the CTS-V. With 556 horsepower on tap, you would expect the car to be near impossible to drive hard without it constantly breaking the tires loose. Wrong. Even when I tried to powerslide it out of the parking lot, it held the pavement amazingly well and launched us forward. Sure, we slid a little, but not like we would have if I’d have turned the traction controls off. It also doesn’t hurt anything that the car comes equipped with Michelin Pilot Sport tires, either. Yes, the same rubber found on the Corvette ZR1 and on any serious sports car owner’s rims that values supreme street traction over high replacement costs. They’re so sticky, they are almost like having racing tires for the street. Driving this car is in many ways comparable to driving the 505 horsepower Chevrolet Corvette Z06. In fact, I’ve stated publicly (many times) that the CTS-V Sedan is a lot like a Z06, just with two extra doors and a back seat for ten grand less. It definitely shares that immediate rush of endless power and torque that will propel the car forward at a rate most people have never felt, and frankly, that many can’t handle. Is it that quick? Yes. It pins you back deep into the seats as if you’ve been shot out of a cannon. The car accelerates as quickly as a big block Chevelle that can pick its front tires up off the ground. In fact, it takes off just as well from a standing start as it does rolling along at 70 mph (or greater). Just point, aim and shoot! But how does it corner? Does it feel nimble when you throw it around or does it feel like a big, heavy sedan? The answer, in every category we experienced, was you quickly forget you are in a sedan. It didn’t take me long to go into Corvette mentality. However, a key difference between the Caddy and the Z06 Corvette is that you can put the power to the ground a lot quicker and keep it planted throughout the first three gears in the CTS-V. I’m talking wide open throttle. 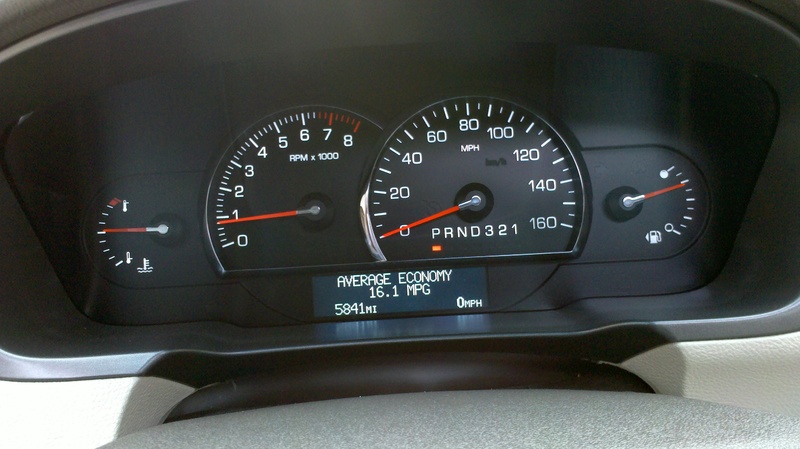 In a Z06, um, well, without racing tires or launch control, not so much. No matter how skilled you are, launch a Z06 at wide open throttle and most of that power goes up in tire smoke. Very expensive tire smoke. Shift and repeat, shift and repeat again. Needless to say, I strongly believe the Z06 should come from Chevrolet wearing Pilot Sports as well (ahem, if you’re listening GM, please and thank you). Another interesting point is that while the CTS-V has 51 more horsepower than a Z06, it also weighs roughly a thousand pounds more. Those extra pounds probably help keep the rear tires planted when you dig into the throttle. Yet even with the extra weight helping with traction, you’d still expect a car with 551 foot pounds of torque to be a handful to drive. It’s not. But don’t let that lull you into comfort, either. One good stab of the throttle at the wrong time, in a curve or on wet pavement, can (and eventually will) override any traction system that’s trying to save you from yourself. However, while the amount of “hold back” or “saving grace” of the system almost defies physics, it also lets you have enough freedom to thoroughly enjoy the massive power of the car without feeling overly restricted (at least on the street). There were clearly more engineering hours devoted to this area than the guys in the white jackets will likely ever get credit for. To all of them, we say it here. Kudos! With all this talk of horsepower, traction, acceleration, etc., it’s almost easy to forget what car we are talking about or why we were invited to this event. 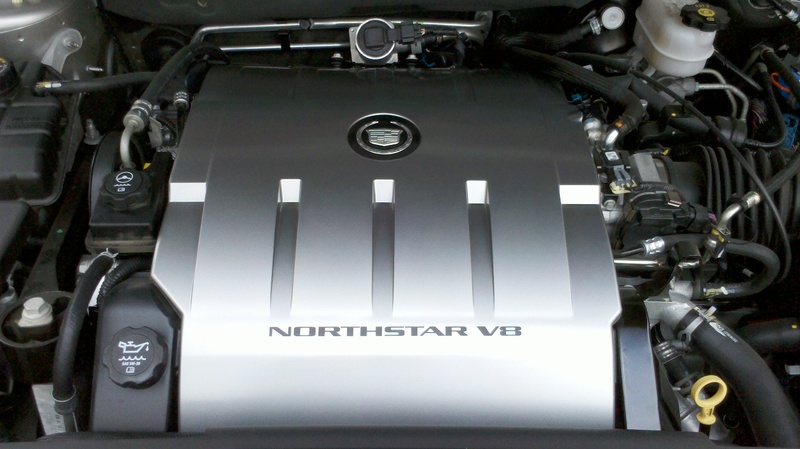 The point was to experience what life is like for a “typical” Cadillac owner. So in that spirit, I offer this explanation of (at least in my mind) what is likely the key difference most operators will experience between driving their CTS-V Sedan and driving a two-door sports car. When you purchase a sports car of any similar performance level, you are more likely to drive it on twisty back roads or on a track than to go, say, pick up the groceries. You go into the purchase expecting it to behave like a sports car. Therefore, every time you strap into it, you mentally prepare yourself for what you are about to do behind the wheel and how you plan to do it. At least, we hope. However, when you purchase a Cadillac, even the uber fast CTS-V Sedan, you may expect it to be fast, but you also have to keep in mind that most of these customers will probably be driving it to dinner, the airport, the opera, etc., far more often than in a competition-type setting. So, unless the owner actually understands what driving a 556 horsepower car is like (which few people really, truly do), then you don’t want them to unpleasantly “surprise” themselves too often. They aren’t going to think “race car” when they strap in each time. In fact, more often than not, they are going to think pedestrian thoughts. It’s a different approach to entering a similarly capable supercar animal. Sometimes it’s hard to remember, but the CTS-V Sedan was not built to be a race car, per se (just don’t tell Andy Pilgrim that). It was built to be a luxurious daily driver. 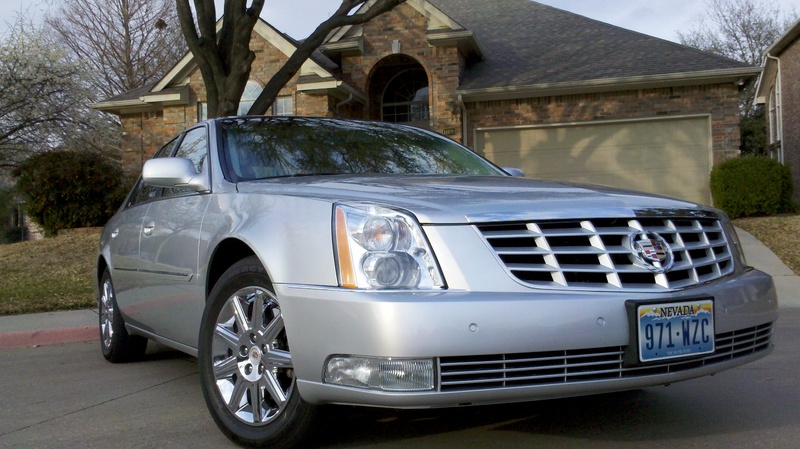 It is a car that most “typical” Cadillac owners, with a little bit of diligence and common sense, can probably handle driving everyday without fear. Though a little healthy fear wouldn’t hurt (just saying)! One of the key attributes that I’m fairly certain Cadillac or GM is not likely to tout (but that this car delivers buckets of) is what we like to call “stealth value.” That is, to the untrained eye (which includes roughly 98% or more of the general populace), the CTS-V Sedan blends in. Especially if you order yours in a non-flashy color (such as white, silver or charcoal). 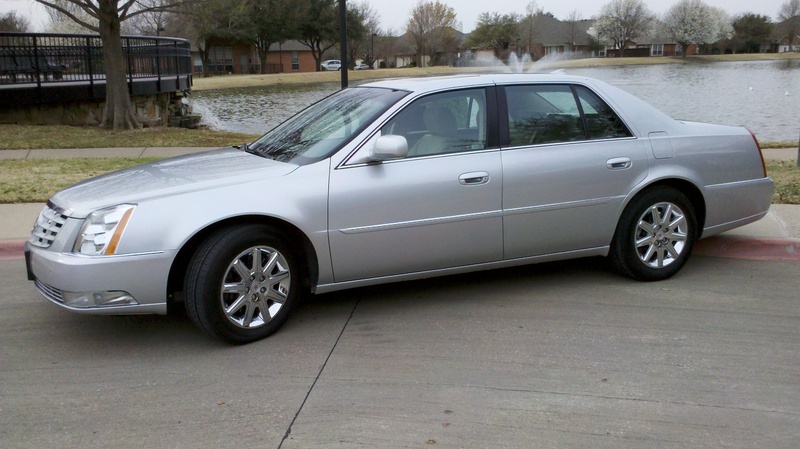 On face value alone, it looks like a typical Cadillac family sedan. What? But why oh why would anyone want their awesome hot rod Caddy to blend in? Two words – Hamthrax evasion. You see, no one expects this car to take off like a rocket ship or to be comfortably cruising down the interstate at triple digits. Not that most of you would do that very often (yeah, riiight). Even for those who like to drive at 20 over the limit (or so) but are always concerned about getting pinched by the Hamthrax (ahem, any color Corvette + speed = instant attention), this car offers the perfect solution. Cops aren’t looking for family sedans. They are looking for the guy in the Corvette, the Camaro, or those other high horsepower coupes that are all trying to slip under the radar … and failing miserably. After enjoying the CTS-V far longer than we probably should have, but not nearly as long as we’d have liked to, the moment came to return the car. A few miles before reaching our destination, the Four Season Resort in Las Colinas, I handed over the controls of the car to Charlie. He got to do a few hard launches from the lights and dove on the brakes plenty, but not much in the way of speed runs. There was too much traffic! For the record, I do feel bad for hogging up the majority of the drive time. Feel bad for Charlie, that is. Honestly, I was enjoying driving this car so much that had he not reminded me to pull over and switch off, the thought of getting out of the car would have never occurred to me. Sorry Charlie! The one thing Charlie got to do that was a real defining moment on our drive (and on the video) is when we pulled up at a light behind a new Porsche 911. With a little encouragement from me, Charlie put the Caddy into neutral and cleaned the throttle out a couple of times. What played out in front of us was priceless. First, the heads of both the driver and the passenger immediately jerked up and around. Then, the driver reached for his rearview mirror, adjusted it, and we could actually see his eyeballs bulge in the mirror’s reflection. That’s right, bud. That deep roar that just shook you and your Porsche to its very core? Yeah, that came out from under the hood of the Cadillac sedan parked on your rear bumper. The reaction was priceless! This is not your mother’s Cadillac. This is the big bad wolf in sheep’s clothing that is going to outrun the whole flock (and your grandmother too). However, we’d really like to spend a full day (or a few) behind the wheel where we can explore the capabilities and characteristics of the car somewhere other than in Dallas rush hour traffic. I could spend at least a few hours just examining the interior features of the car and plenty of time under the hood as well. There is really just so much car there for the money. At $70,000 and change (very well equipped) that’s a tall order, but this is one of those rare cars that can deliver loads of performance and value for the big price tag. It’s no secret that we hold the C6 Corvette platform up as our personal standard for what any performance car should be like. While that may seem unfair to many, in this case, it is not, as this is a true and worthy competitor to all four flavors of the current C6. If the car is missing anything, we only have one request. 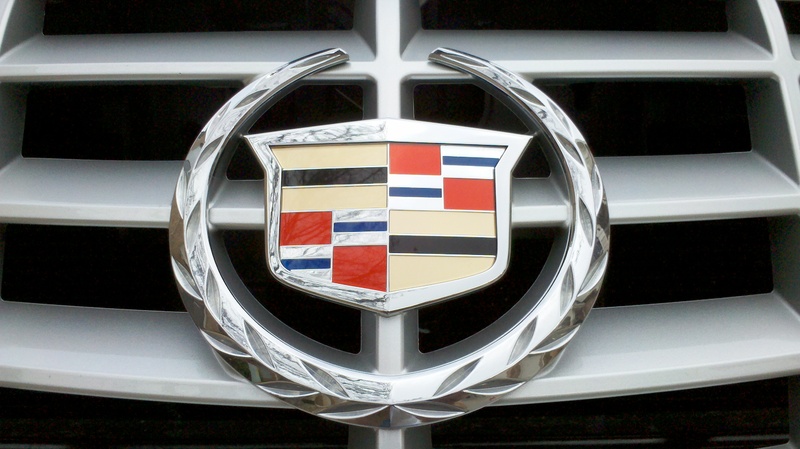 Bring back the ducks on the Cadillac emblem. Only this time around, put them in a V formation. 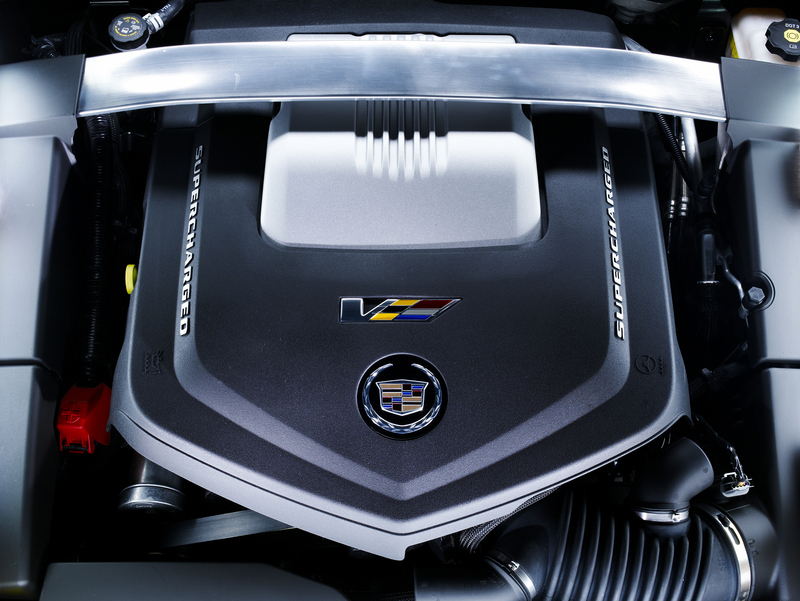 The Cadillac CTS-V. It doesn’t just quack, it honks! In summary, the best thing we can say (other than we want one) is this: You don’t have to ask if this car will return the favor. Just save the “after smoke” for the tires. Though we said this in both parts of our Cadillac Lifestyle posts, and it certainly bears repeating again here. We’d like to publicly thank Donna McLallen (@GMTexas on Twitter), Vicki Cosgrove and everyone on the GM South Central US Team for being kind enough (and crazy enough) to invite us to this event. Without their kind, good faith invitation, we wouldn’t be able to bring you, the wonderful fans and followers of Team Hall & Nass, this incredible tale to enjoy. We owe you a big one (as well as some brake pads linings and perhaps a bit of tire tread too …)! 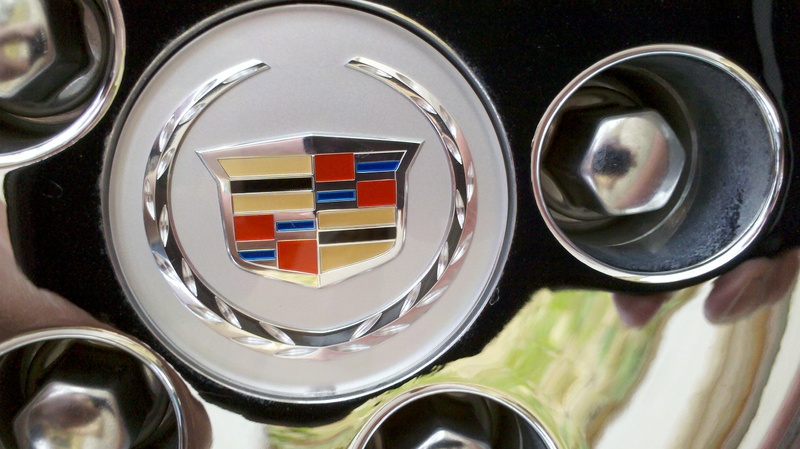 We hope y’all have enjoyed our Team Hall & Nass Cadillac Week coverage thus far. Tune in tomorrow for what may be our most exciting post of the week, titled, “Team Hall & Nass and Burnout Radio CTS-V Sedan Drive – Caught on Camera(s).” It’s a post of few words … well, of the written variety. Remember the two video cameras I mentioned at the top of this post? That’s right! Better dig out your driving gloves, zip up that fire suit and tighten down those belts. You’re going with us on a wild and crazy ride! When Charlie said he didn’t know where we were going, he wasn’t kidding! 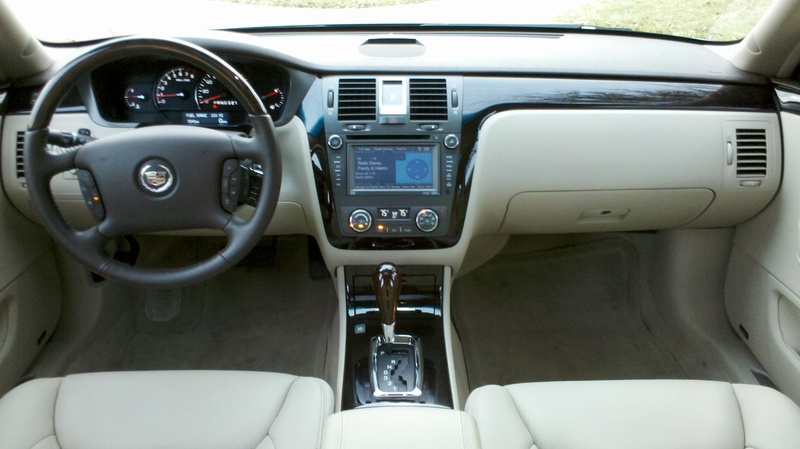 After a series of u-turns and wrong turns, it finally occurs to me that I have a nav system in the dash in front of me. DUH! However, before I can plug in the address of the next checkpoint, Donna from GM calls my cell and tells me I am less than a block away. 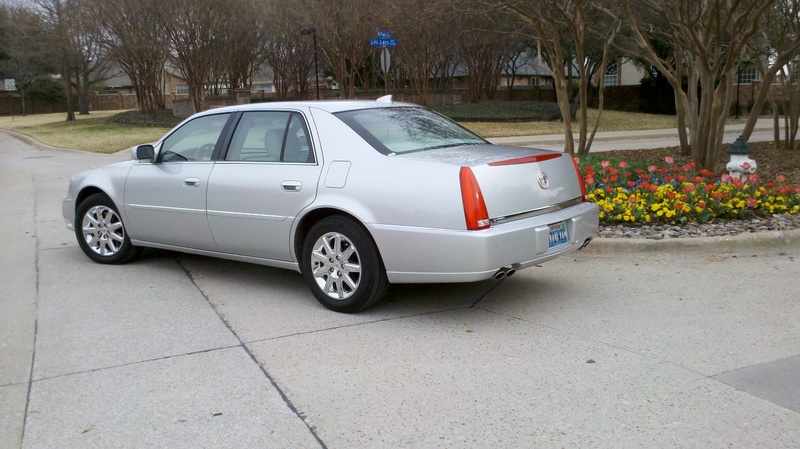 Sure enough, when we pull around one of the many office buildings (all there seems to be in this part of Las Colinas), we discover both a row of Cadillacs sitting there and Donna standing there shaking her head at us. Oops! After I quickly summarize that I got “punked” by Charlie, she just laughs and escorts us inside and up to the top of the office building for our next surprise. I don’t know what the scene was when everyone else pulled into Via Real at Checkpoint One, but this was impressive! The “super secret” and hard to find Checkpoint Two was none other than the exclusive and private La Cima Club. Perched on top of the Williams Square building in Irving, Texas (known as host to the “world’s largest equestrian sculpture” in front of the building), the unobstructed view in all directions is unparalleled by any other building in the area. On a clear day (which it certainly was on our visit), you can see all of the skyscrapers of Dallas (10 miles to the east) and of Fort Worth (30 miles to the west) and all points in between. But the ClubCorp-owned La Cima is not just known for its breathtaking views and private membership. It’s known for its exquisite fine dining. 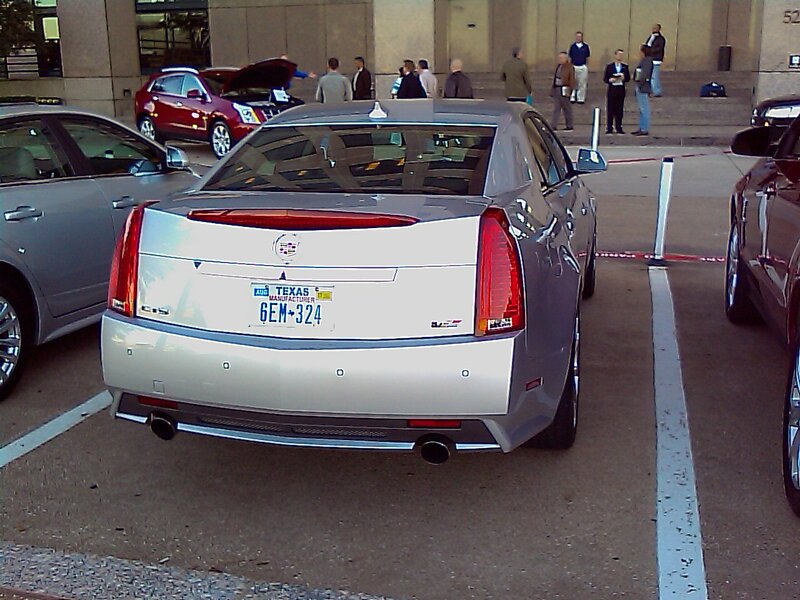 The fine folks at GM and Cadillac did not let this “typical” Cadillac owner’s experience evade us either. As we dined on hand-prepared lobster rolls and sipped fine, non-alcoholic sparkling cider (after all, this is a driving event! ), we were entertained by a presentation from both the general manager of the club and the head sous chef, who had returned to La Cima after years of working in other equally impressive establishments. It was quite the tasty snack! As an added bonus, Nick (Charlie’s partner in crime and the other half of Burnout Radio) had joined us for the remainder of the evening, so I knew the next leg was likely going to contain even more fun-filled hijinx and laughs. Boy howdy! If I’d only known what was coming next! While I can (and do) appreciate fine dining and breathtaking views of Dallas, did I happen to mention what GM and Cadillac had lined up for we, the lucky few, to climb all over, experience and drive at this event? Here is the rundown: About a dozen second generation 2010 SRX Crossovers, an all-new 2010 CTS Sport Wagon, and the coup de gras – a silver 2010 CTS-V Sedan. All joking aside, I really didn’t expect to get a chance to drive the CTS-V. As I was leaving Checkpoint One, I noticed a silver CTS-V sitting there, but it was awaiting one of the Cadillac reps to drive it to the next stop after we were all gone. So I figured it was there for us to see, but not necessarily to drive. 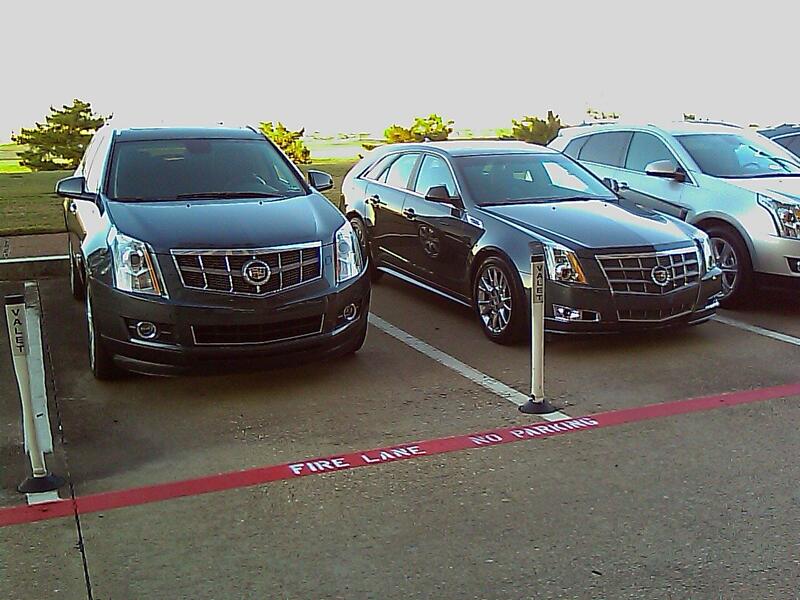 I figured I’d do well to get my hands on the CTS Sport Wagon for the run from Checkpoint Two to Three. At least then I would have a chance to find out just how well the Wagon would get away from Charlie in the SRX. However, as I looked out over the lineup of Caddys in the valet area of the Williams Square building, there sat the silver CTS-V, quietly off to the side. So while the rest of the crowd was getting intimate with a guided tour of the SRX’s many cool interior and exterior features, I eased across the lot and began taking photos of and admiring the CTS-V up close and personal. 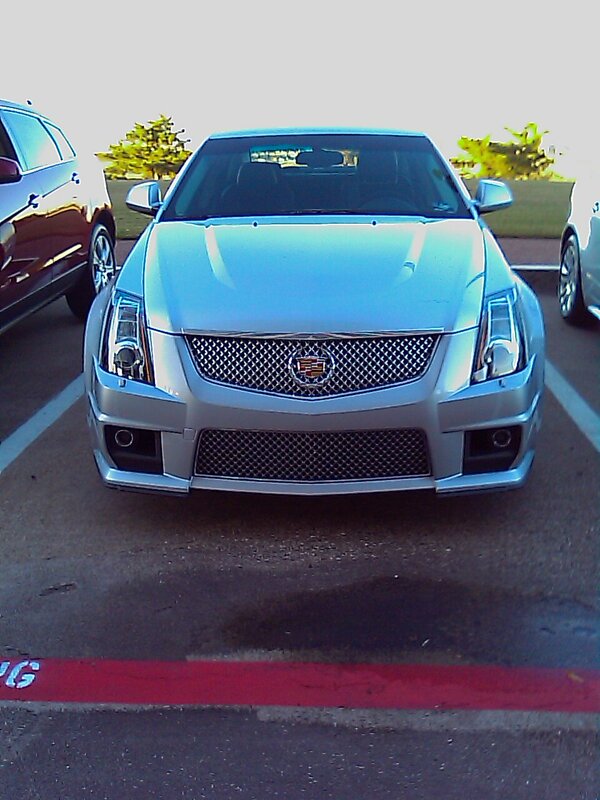 It wasn’t the first CTS-V I’d seen, nor was it the first one I could get inside of. It was, however, the first one I may actually have an outside shot at getting behind the wheel of unsupervised with an opportunity to see what it actually would do (albeit on traffic jam-filled roads for a very short duration of time). Nonetheless, it was just too close to not try to beg, borrow, or even to come up with a strategy to “steal” a few rare moments of driving time in it, if it came down to that. As if they could read my mind, another GM rep approached where I was standing and encouraged me to “come on over and hear all about the SRX” … but my mind was spinning on ways to get behind he wheel of the CTS-V.
After a few brief words with Charlie and Nick about how it would be nice to “snag” the CTS-V, I turned my attention to chatting up the Cadillac rep. As it turns out, Thomas D’Angelo, Cadillac’s new Regional Marketing Manager for the South Central Region, was a real joy to talk to. 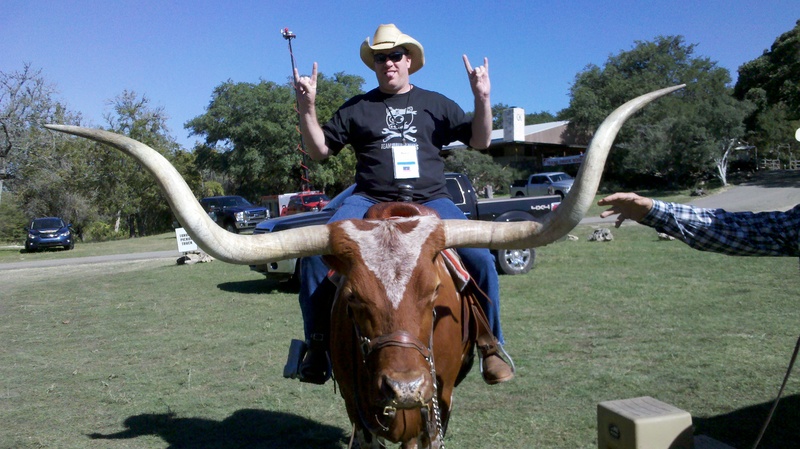 He had moved to Texas from Southern California and was settling into the market. We talked quite a bit about what Cadillac is doing to distinguish themselves as a brand, the exciting new lineup of cars, and all sorts of good things. Finally, I got around to asking him if there was any chance at getting some seat time in the CTS-V. He said it might be tough, but hopefully we’d get a chance at some point. No sooner than those words had been uttered, out of the corner of my eye, I spotted Nick easing over to the CTS-V. At first he appeared to be admiring it, but then, suddenly, it happened. Nick slipped into the passenger seat of the CTS-V, their photographer Katie climbed into the back, and Charlie, suddenly standing next to the driver’s door, grinned at me, and then gave me the “come on” wave. I quickly excused myself from the conversation and made a beeline across the parking lot. Charlie says, “Get in. QUICK!” Not being one to dally, I only paused long enough to ask, “You sure you don’t want to drive?” To which he responded, “We’ll switch out later, but I’m not going to pass up a Team Hall & Nass ride along. Now get in and let’s get out of here!” I didn’t hesitate to ask additional questions. It was go time. A few brief moments later, with two video cameras rolling (mine filming from Nick’s lap up at me as I drove, Katie filming forward from the right rear), I pulled the CTS-V into gear and we slipped out of the parking lot and around the building. As I neared the exit onto the surface street, I made sure everyone had their seat belts securely fastened. I then tromped on the throttle and sideways we went out of the exit and through traffic in search of some open road. There are not enough colorful words, phrases, etc. to describe what our brief time behind the wheel of the CTS-V was like. In fact, we used so many trying to that, after writing it all out, we decided it warranted its own separate blog entry. Yeah, we went on about it that much (and it was worth every letter). So be sure to check out our separate post titled “Team Hall & Nass Preview the 2010 Cadillac CTS-V” for our superfluous attempt at trying to describe what it’s like behind the wheel of this classy beast. As an added bonus, when you read our separate blog entry all about our impression of the CTS-V from behind the wheel, you will receive instructions on where and how to view the complete Team Hall & Nass and Burnout Radio event, exactly as it happened, all on video. Believe me, you’re going to want to witness the mayhem. It’s quite the scene! As our all too brief drive of the CTS-V drew to a close, we turned into the entrance of the Four Seasons and pulled up to the front. Immediately, two things were very noticeable. One was the unmistakable smell of hot brakes and rubber emanating from the car. (Man, I’m sure glad Charlie was behind the wheel for the last leg!). The second, which was actually the first thing I noticed, was Donna from GM. She was standing there amongst others from GM with her arms folded. She didn’t look amused. In fact, she had what one could only describe as a classic “mom” look on her face. Ot oh. We were SO busted! I’ve known Donna for awhile on Twitter and have met her in person before, but I didn’t know her that well before this event. So I didn’t know for sure if we had really stepped in it, or not. I immediately found her inside of the event and apologized profusely. At that moment, I believe our friendship bonded. She couldn’t keep the stern face up any longer. She laughed and told me it was okay and that she was teasing. Now, to this day, while I’m fairly certain that Donna was kidding me about the teasing, I secretly hope they didn’t really make her stand out in the cold and wait for those crazies she invited from the “online world” to their media event to return their $70k+ hot rod Cadillac. (Then again, she was standing out there and looked more than a bit relieved when we first pulled in …). Of course, we did return it, we drove it with reasonable care, and we praised it on Twitter live from the event. And now (finally) here on our blog and on YouTube, we are more than happy to do not only one, but two posts on the topic. The car(s), the event, and the fine folks at GM all deserve praise on all counts. There wasn’t a single thing they could have done better for us. It was more than we deserved, and we really, really appreciate it! Any feelings I had of guilt were quickly replaced with euphoria as I sampled some of the delectable treats the executive chef had prepared for us. However, the deserts were truly mind melting. Kind of like those Michelins out in the parking lot …! 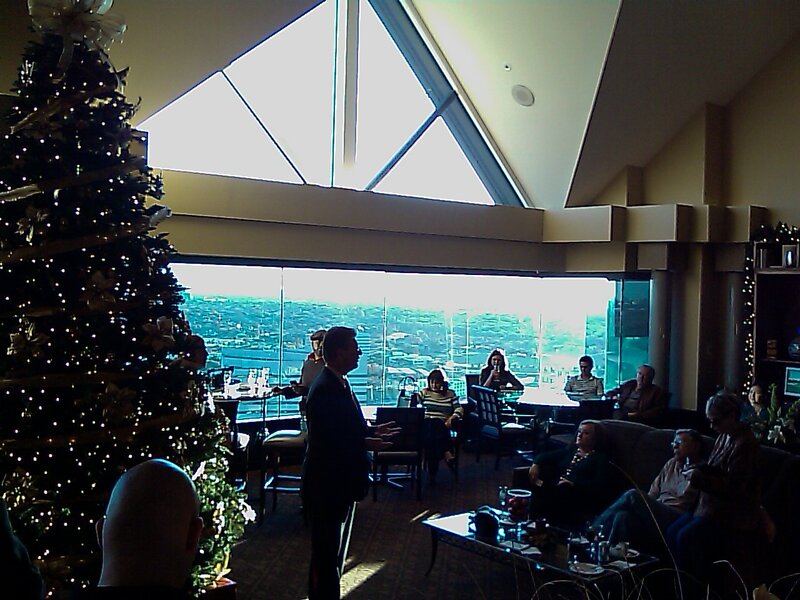 We were entertained by a description of the selections by the head sous chef, and given the run down of the resort and events it typically hosts by the general manager of the hotel. It was everything you expect from the Four Seasons. Good show! It was a short walk (yes, walk, not drive) outside the back of the Four Seasons over to Via Real. Back to where the evening began. Upon entry, we were treated to the option of driving any of the Cadillacs that had been brought over to the parking lot, or to begin consuming fine alcoholic beverages if we were finished experiencing the vehicles. Even though I thought about obtaining the CTS Sport Wagon for a nice drive, I also figured I’d let the tires cool off for a bit and instead enjoy the networking. There was an interesting mix of traditional and non-traditional media present, but again, there were only a few of us in total. I met a gentleman who, upon sharing with him that we do a bit of rallying, told me how many Gumball 3000s he’d been on. I had to laugh. You just never know where fellow rally enthusiasts are going to show up. We spent the rest of the evening chatting up the fine folks at GM, and of course, enjoying the appetizers, entrees and dessert selections Via Real had prepared for us. The dinner was amazing, the company was grand, and the event as a whole was first class all the way. It is my wish that no matter what your background or station in life, that at some point, if not everyday, each and every one of you reading this get to experience the “Cadillac lifestyle” as the General intended. Believe me, it is worth every penny! We hope y’all are enjoying our Team Hall & Nass Cadillac Week coverage. The carnage (we mean, coverage) continues tomorrow with our CTS-V ride and drive preview. Better get ready to strap yourself in and/or hold onto something tight for that one!